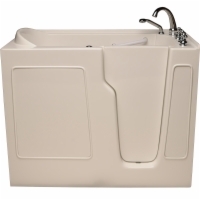 What are the Sanctuary Petite Easy Soak Walk-In Tub's strong points? Small footprint, industrial-grade acrylic construction, swing out door, headrest included, and the option of whirlpool, air, or dual jet massage systems. What makes the Sanctuary Petite Easy Soak Walk-In Tub different? 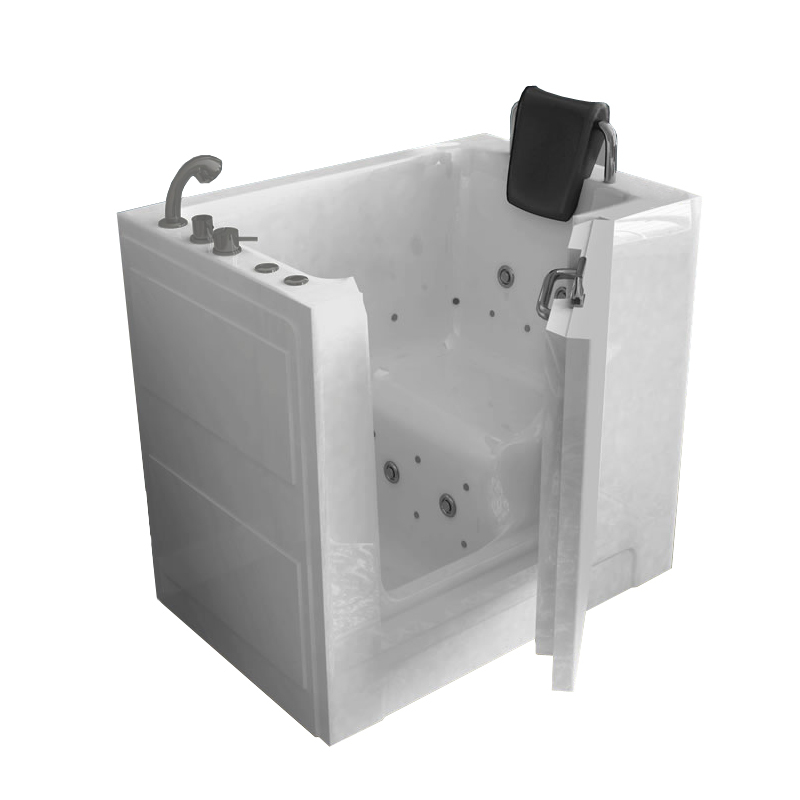 The Petite Easy Soak is Sanctuary's smallest walk-in tub perfect for small apartments, mobile homes, or motor homes. 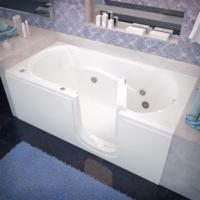 What else should I know about the Sanctuary Petite Easy Soak Walk-In Tub? Adjustable leveling feet are not available on this model, so you will need to provide other means of leveling the unit.